Anxiety. It affects more of us than you might think, but we still don’t understand it as well as we should. 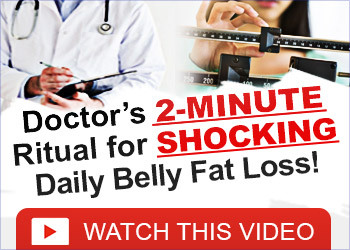 When it comes to variations of the condition, such as high-functioning anxiety, people are often at a loss. There remains a lot of misinformation about the difference between anxiety and high-functioning anxiety, and how both conditions can change people’s lives. Everybody feels anxious sometimes, but anxiety as a condition is something different. It’s the term that we use to describe people who experience feelings of anxiety even when they aren’t stressed or under pressure. We all get stressed and anxious under pressure, but for the majority of us, those feelings disappear when the situation is over and the thing stressing us is no longer around. The minds of people with anxiety are a little different in this respect. 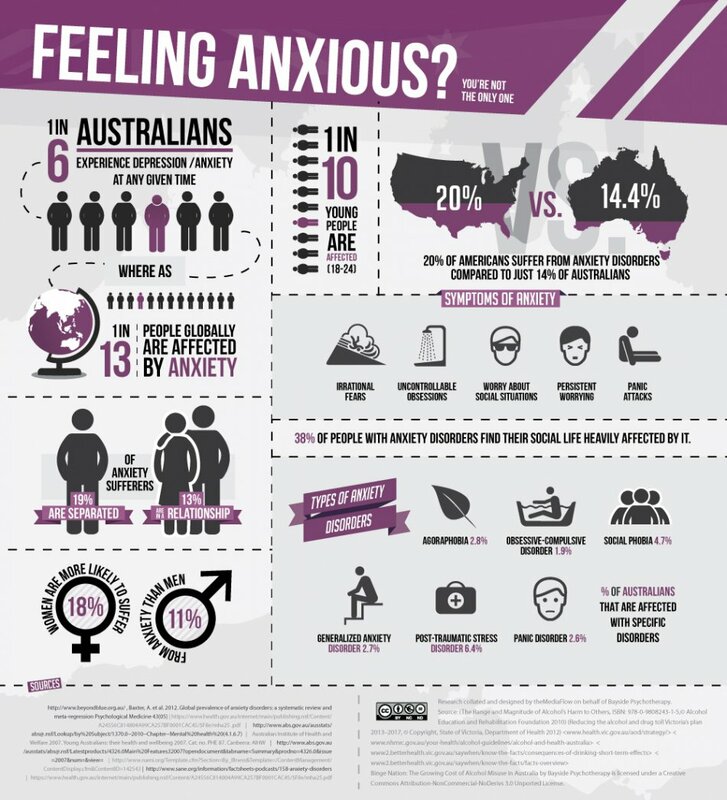 Anxiety is actually the most common mental health issue in Australia, experienced by one in four people on average during their lives. In a year-long period, 2 million Australians will experience anxiety. Symptoms of anxiety present themselves in three main areas: psychical, psychological and behavioural. They include things like tight chest, racing heart, restlessness, feelings of tension, hot and cold flushes, fear, worry, obsessive thinking, situational avoidance, and panic attacks. What Do You Mean High-Functioning? High-functioning is a difficult word for many people to get their heads around. Unfortunately, many people mistakenly believe that when someone has high-functioning anything, they’re basically alright, or that they experience their condition at a lower level than people who aren’t high-functioning. However, this isn’t quite true. Basically, high-functioning is the term used to describe people who are able to conceal their dysfunctional behaviours in certain circumstances, often to maintain a certain perception of themselves in the eyes of others. In the case of high-functioning anxiety, this means that the friends and loved ones often have no idea that someone close to them is living with the condition. People with high-functioning anxiety get so good at presenting themselves in a certain way, they’re basically hiding their condition from the world. It can be difficult to explain what it feels like to live with high-functioning anxiety. Mental health is absolutely subjective, and one person’s experience with a condition can be totally different to someone else’s experience. If you’re living with high-functioning anxiety you may find some of these things apply to you, while others don’t. For those trying to understand high-functioning anxiety, keep an open mind. For many people living with high-functioning anxiety, making decisions and committing to anything is an absolute nightmare. There are often lists of pros and cons involved in any decisions, but people living with anxiety struggle not to get overwhelmed, or to find any positive reason for attending or committing to events and social occasions. When people do choose to do social activities, it’s often through obligation or a fear of missing out or being perceived as a bad friend. 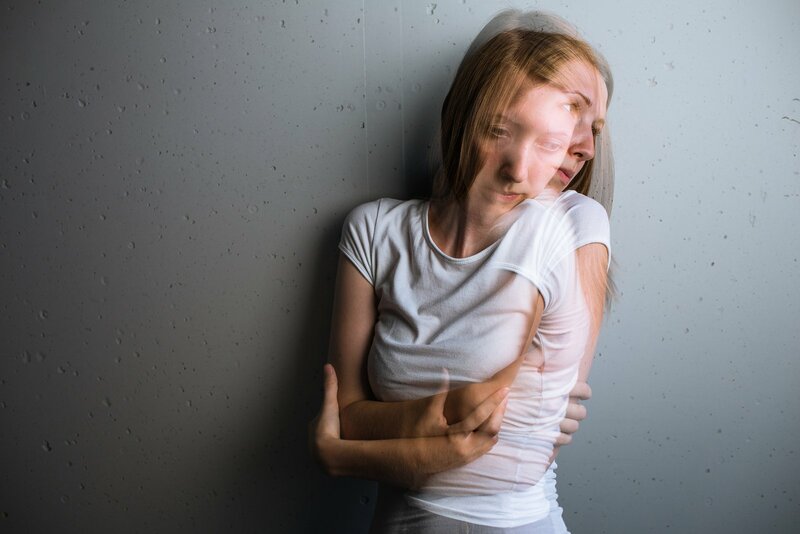 Once there, people with anxiety have to balance their own insecurities with society’s expectations of them, causing them to second guess their every move. We all struggle sometimes with those little voices inside our heads. Most of the time, people can just silence them and stop them from ruining their mood and their day, but people with high-functioning anxiety really struggle with this. Those little voices become a cycle of very negative and damaging thoughts. They tell that person that they aren’t ever going to be enough, that they won’t succeed, that they aren’t loved or wanted. They attempt to convince them that they’re a bad friend, partner and parent. In the case of high-functioning anxiety, these thoughts are below the surface and out of sight. They manifest in anxious activity, like difficulty sleeping, nail biting, teeth grinding, and fidgeting. People with high-functioning anxiety are often perceived by those around them as being focused on achievement, always busy, and with a perfectionist mindset. Often, these behaviours are simply an extension of managing their condition, and they mask an inability to relax. Instead, what people deal with is never-ending energy, which they channel in any way that they can. Writing lists, exercising, busy tasks, all to attempt to stop the cycle of negative thoughts in the mind. When people with high-functioning anxiety do try and relax, they’re often overwhelmed by those thoughts, and unable to rest. A trip to your local GP is a must. High-Functioning Anxiety is an illness, and once formally diagnosed, there are many ways it can be treated. Although High-Functioning Anxiety isn’t able to be cured, the symptoms can be managed through medications (usually anti-depressants), regular visits to support groups and psychologists and good old fashioned exercise. Cognitive therapy is a highly effective way to reduce the symptoms. Do you live with high-functioning anxiety?